There is no better way to retain Scouts than to offer them exciting and adventurous outdoor programs. Del-Mar-Va Council has great facilities where Scouts make nature their classroom! Cub Scout Day Camps are conducted in many locations one of which is near your home. Campers arrive in the morning and return home late each afternoon. This is the introduction to Cub Scout camping and is designed to be FUN!! Cub Family Weekends are conducted in October at each of our three Scout reservations for the entire family. These overnight events are an introduction to outdoor camping for many families and another step forward ward on the path to discovering the out of doors. Cub Scout Overnight Camp at Henson Scout Reservation is a summer resident camp for all levels of Cub Scouts. Exciting activities are completed in the forensic, ballistic, chemistry, geology, biology or technology labs including building robots, extracting DNA, dissecting owl pellets and much more. 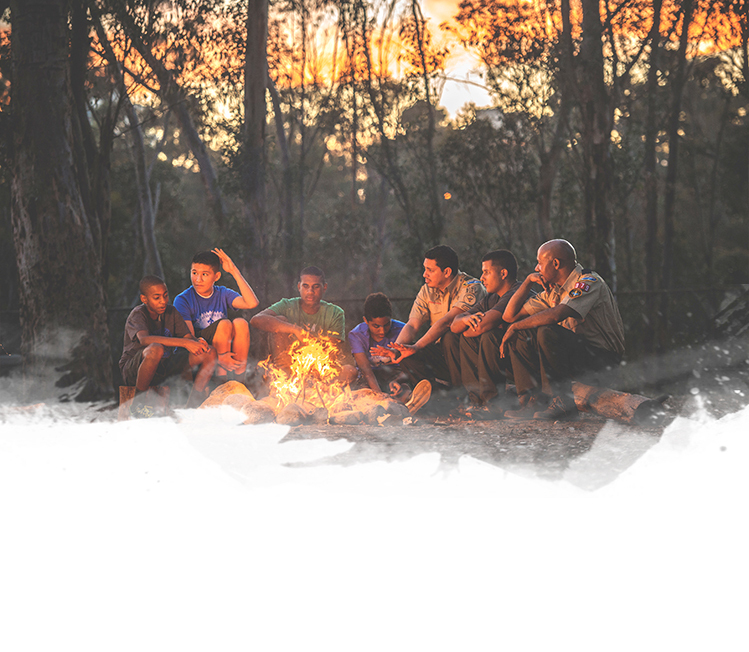 At camp, Cub Scouts will learn, play, advance and enjoy experiencing the out-of-doors. Rodney Scout Reservation 944 acres of unparalleled beauty boasting a mile of waterfront on the Chesapeake Bay in Cecil County, Maryland. Henson Scout Reservation 1889 acres of unique wilderness bordered by the Marshyhope Creek and Nanticoke River in Dorchester County, Maryland. Each has a unique location with breathtaking scenery, a top-notch advancement program, and high adventure opportunities for your older, more experienced Scouts. High Adventure Sailing on the Chesapeake is for the adventure seeking sailor. Each crew creates their own week-long adventure sailing the open waters of the Chesapeake and visiting various ports of call. Akridge Scout Reservation is the newest Del-Mar-Va Council camp property located just south of Dover, Delaware. Under development since 2011, the unique 85 acre site is an outdoor oasis among urban neighborhoods. Available year-round for weekend camping, special events and Cub Scout day camps now, the site is the future home of a Council Volunteer Service Center and full Cub Scout Resident Camp. Weekend Camping Facilities are available at all three camps, Akridge, Henson & Rodney Scout Reservations on many weekends throughout the year. Some sites include lodges with heat, kitchens, bunk beds and more. Check out our facilities page at all three sites. Canoes & Kayaks with trailers, paddles and jackets are also available during clement weather months. Each year the Del-Mar-Va Council sends contingents of Scouts and Scouters to each of the four BSA National High Adventure bases. These are capstone experiences of the outdoor program of the BSA. Northern Tier provides the opportunity to paddle through the majestic Northwoods wilderness of the Boundary Waters Canoe Area and on into pristine waters of Canada. Summit Bechtel Reserve in Glen Jean, WV, gives contingents the opportunity to explore the rapids. Philmont Scout Ranch in Cimmaron, NM, provides the opportunity to trek the desert and scale the heights of Mt. Baldy. Florida Sea Base participants sail the high seas of the Atlantic and scuba in the Gulf of Mexico.